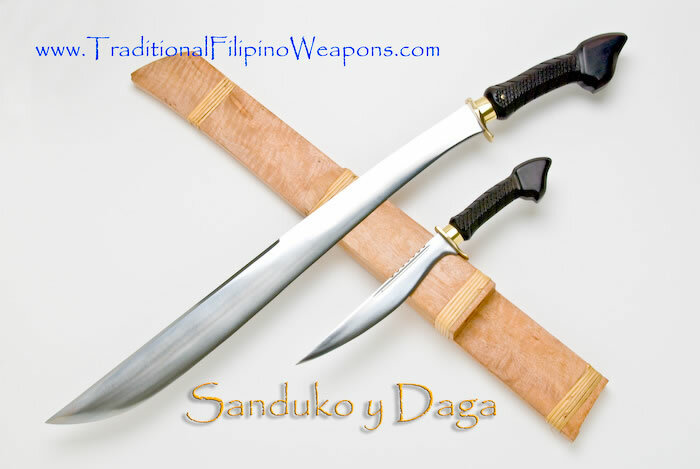 Sanduko Y Daga – The Sanduko is a top heavy blade that was brought in the Philippines by the early settlers from Indonesia. 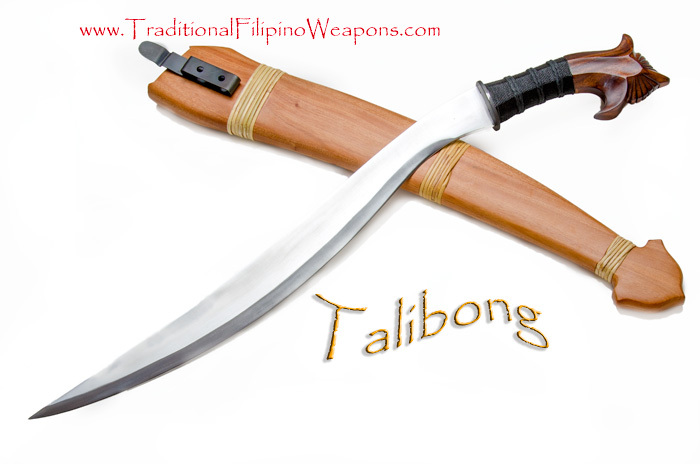 Used as a very well engineered weapon that can cut off whatever they aimed for, it was also used for farming, trimming tree branches, and dressing animals for feast. 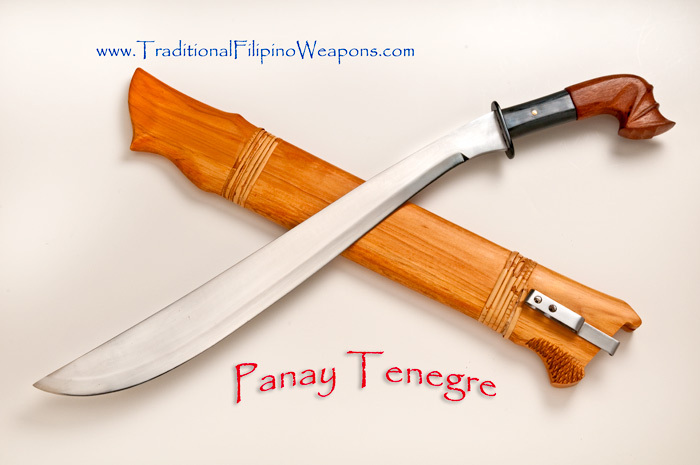 The small dagger that goes with it serves as the cutter for things that the long blade cannot accomplish easily such as peeling fruits, sharpening stick tips, and cutting the meat into small pieces. 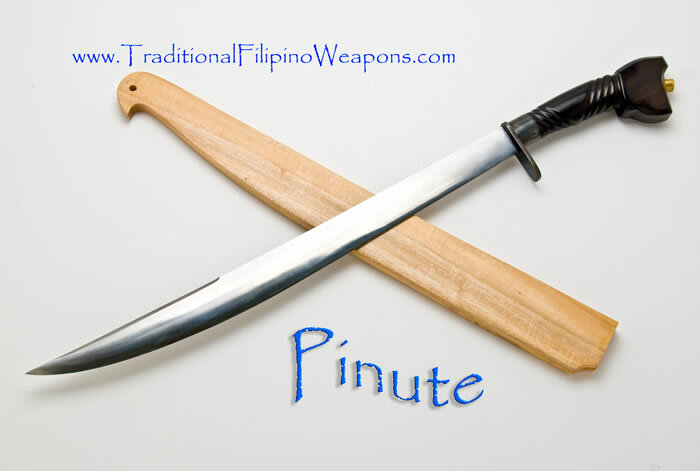 When the revolution called upon the Filipinos, these combinations of farming tools became very deadly weapons for resistance. 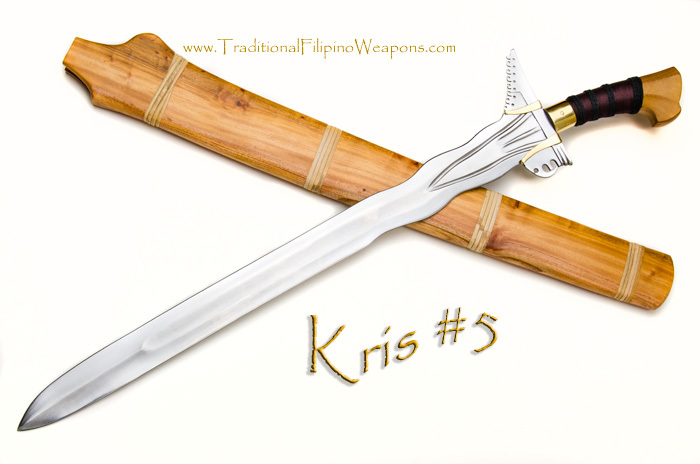 When a sword or knife is used as a tool, the muscles are well developed for using it in combat.